15 years ago, we would have looked at this game as a title decider. But how times change! Post-2005, Arsenal have never looked the same and gradually descended from title challengers to top 4 challengers. On the other hand, Manchester United, under Sir Alex went from strength to strength, winning 5 titles between 2005 and 2013. Then the moment that every United fan had been dreading arrived, the retirement of Alex Ferguson. Since then, they have never looked the same on the pitch. Commercially, they have progressed leaps and bounds but on the field, they have not been able to match up to the standards set earlier. Today, this rivalry resumes. It will be the first match since 1986, that a clash between these two has not featured either Sir Alex or Arsene Wenger. This is truly a new era for the two clubs, and for the first time in a while, Arsenal seem to be better placed to take the three points. It is almost unimaginable for any team to go to Old Trafford and be favorites. But such has been the drop in performance this year from United, that people actually fancy Arsenal in this match. Jose Mourinho has come under increasing pressure as his team are 8th in the League on 22 points, 16 points off the pace and 8 points off top 4. They are closer to the relegation zone(11 points) than they are to the top 2 and to add salt to their wounds, the top 2 are their fiercest rivals, Manchester City and Liverpool. Mourinho is known for his cautious approach in big games where he looks to have a solid defense and then tries to counter the opposition on the break as the game progresses. This year, however, United have conceded 23 goals already and have a negative goal difference to show for. To put this in context, they let in only 28 goals in the entire 17/18 Premier League campaign. Far too many United players have underperformed this season, and there is serious cause for concern amongst the United fans. Recently, 2 draws against arguably lesser oppositions have left fans frustrated again. The 0-0 draw vs Palace would have been more frustrating though as that was in front of their own fans. Against Southampton, they came back from a 2 goal deficit to draw 2-2. Although, they should not have been down by 2 goals in the first place. Will history come to United’s rescue? For this fixture though, United always seem to turn up. Arsenal’s last victory at Old Trafford came all the way back in 2006. Since then, they have found it very difficult to triumph at Old Trafford. The low point being the embarrassing 8-2 loss at the hands of Sir Alex in 2011. Safe to say, they do not like coming to Old Trafford. Last year, it seemed as if Wenger’s last trip there could end in a draw, but United snatched it at the end with heroics from one of Mourinho’s warriors, Marouane Fellaini. United come into this match with some serious injury concerns. 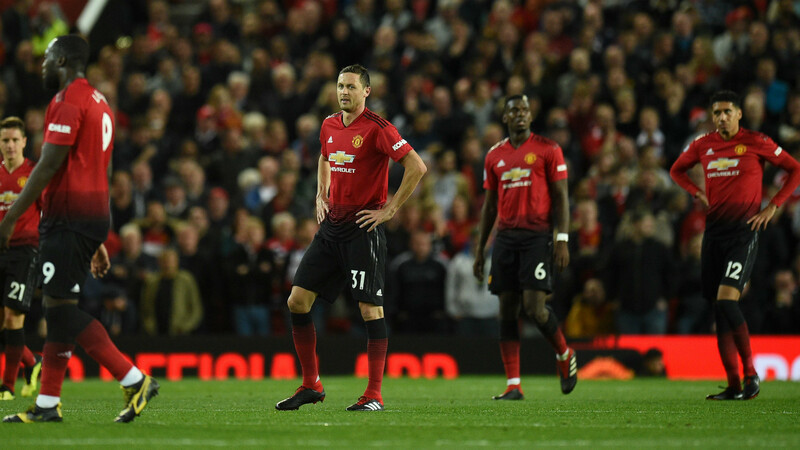 They could be without EIGHT defenders as reported by the Telegraph – Chris Smalling, Eric Bailly, Phil Jones, Luke Shaw, Victor Lindelof, Antonio Valencia, and Matteo Darmian are all reported to be carrying some sort of a knock/injury. Ashley Young is suspended for the fixture after picking up his 5th yellow of the season. Rojo and Dalot appear to be the only match-fit defenders. Jose Mourinho will be sweating over the fitness of Jones and Shaw ahead of the big game. Mourinho on Tuesday admitted that it will be a race against time for any of them to recover to face Unai Emery’s Gunners. 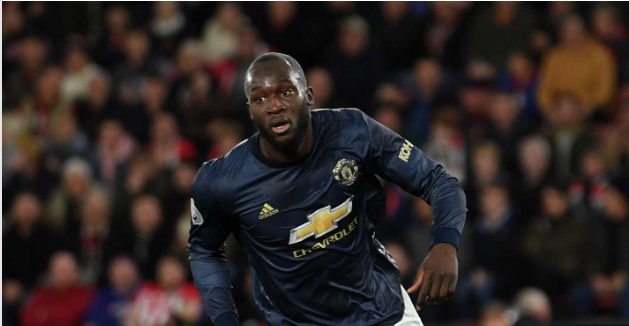 Lukaku heaved a huge sigh of relief when he finally broke his scoring duct against Soton. There are however a few positives for Mourinho who saw Romelu Lukaku finally end his goal drought over the weekend. Anthony Martial was rested against Southampton, so he should be fresh and raring to go. Yet again, with United, the focus turns to Paul Pogba. Jose Mourinho allegedly called him a virus after the Southampton clash and it would be interesting to see if he starts vs Arsenal. If Pogba does, then he will be paramount to everything United does. 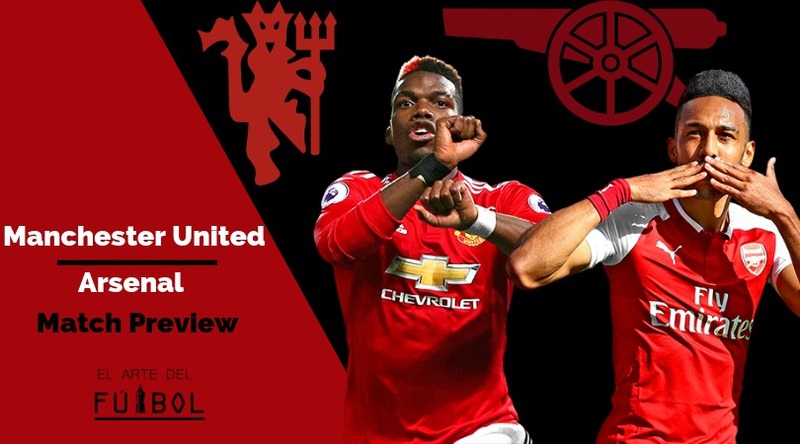 Pogba was very influential in United’s victory over the Gunners at the Emirates last season and United fans will hope he puts on a good shift on Wednesday evening. United’s key players for Thursday will be Pogba, Lukaku, and Martial. Predicted Manchester United XI (4-3-3): De Gea; Dalot, Matic, Jones, Rojo; Mata, Herrera, Pogba; Martial, Lukaku, Rashford. Onto the Gunners and boy isn’t the Emirates the place to be at the moment. After all the talk that Tottenham could have really embarrassed Arsenal in the Derby, their performance was a defiant response to anyone who doubted Unai Emery or this Arsenal team in their ability to get out of a tough situation. They dominated the game for the most part and could have even scored more. The good news for them is that Lacazette is finally back in full flow and that Laurent Koscielny could even get a spot on the bench. The last two matches have seen Emery revert to a back 3 with wing-backs. This has really brought out the best from the likes of Kolasinac and Bellerin. Arsenal seem to be a bit more secure defensively with this formation, especially for the tougher games. This formation does have its shortcomings though, and the biggest one has been Mesut Ozil. He was benched for the game vs Bournemouth and had a backache for the North London Derby. 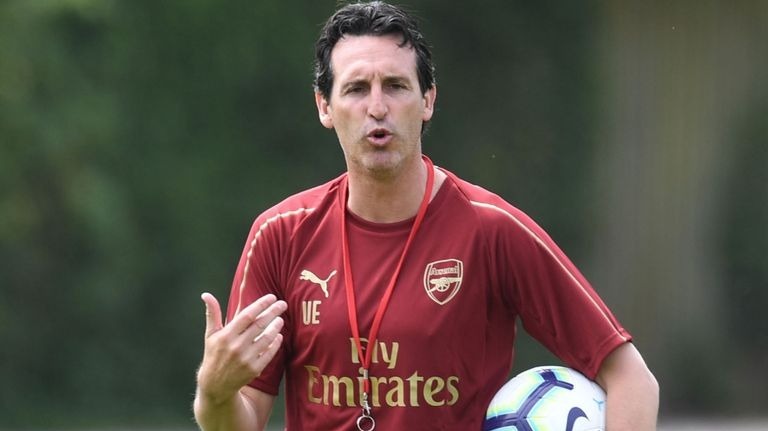 After the derby, Emery was evasive towards questions on Mesut Ozil and it is likely that he may not feature on Wednesday as well. Emery prefers his wingers to track back, even in a 3-4-3 we saw Iwobi and Mkhitaryan tracking back to help the wing-backs. Ozil’s suspected lack of work-rate is why we saw him not feature against Bournemouth and it could see him sit out the United game. At the moment, Arsenal can live without him and one would be expecting a cautious 3-5-2 approach to this game. A big miss for the Gunners will be stand-in skipper Granit Xhaka who misses this game through suspension. 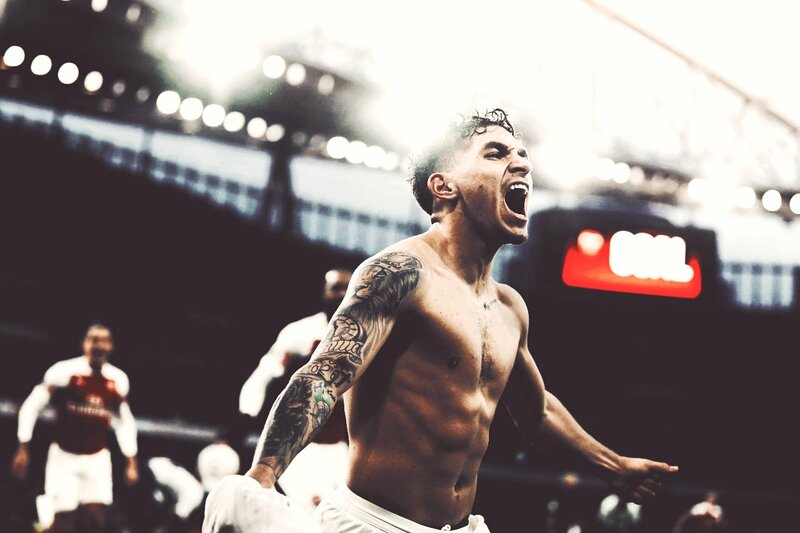 His presence and performance alongside Lucas Torreira has been crucial this season. Arsenal’s defense is still suspect and United should be looking to exploit that, especially at the start of the game. Arsenal have not yet led a match at halftime throughout this Premier League season. If matches ended at HT, they would be in the relegation zone by now. But kudos to Emery, in every match he manages to make substitutions that change the course of the match. Arsenal’s intensity goes up by a notch every time they hit the 50-minute mark. They have the most goals in the 2nd half of games this season. Some pictures don’t need captions. Lucas Torreira’s role will be instrumental the match as it has been in every game he has played for the Gunners. He will have to pair up with Matteo Guendouzi, which might be tricky considering it is a new partnership with both players, 22 and younger. Torreira has been a nuisance for opposition attacks, sensing danger and breaking up play whenever he sees it. Tough tackling, along with a passing range and a good shot make him a perfect midfielder, the type Arsenal have been crying out for since Vieira left. He is by no way at that level, but with performances like this in big games, he isn’t doing his reputation any harm. Arsenal’s key players will be Lucas Torreira, Aubameyang and Bellerin. Predicted Arsenal XI (3-5-2): Leno, Bellerin, Mustafi, Sokratis, Holding, Kolasinac, Torreira, Guendozi, Iwobi, Lacazette, Aubameyang. United have the upper hand in this fixture. They have won 98 matches across all competitions to Arsenal’s 82, including the last two in the Premier League. We expect United’s poor form at OT to continue. Arsenal are on a high, and their coherence should ensure victory at Old Trafford. 1-2 FT.